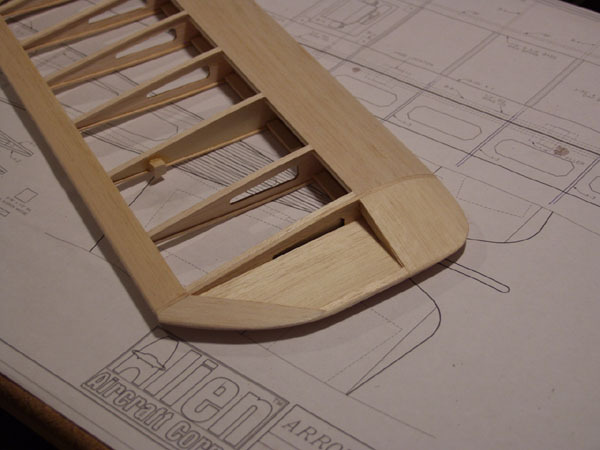 In part 3, we finished the bottom wing by adding the ailerons and joining the two wing halves together. Now we continue with the Top wing! 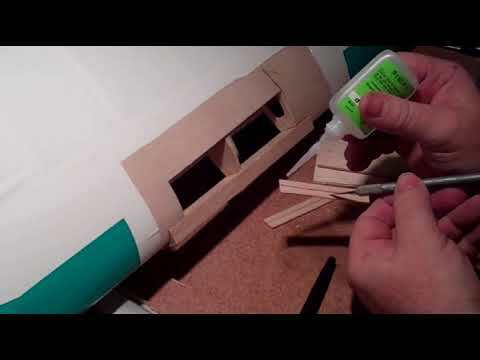 Construction is very similar to the bottom wing. 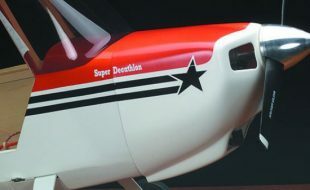 Differences being, it’s built as a single piece with no dihedral and no ailerons. 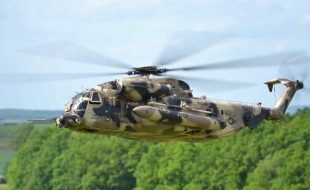 It has a lot to sweep back to it plus, it has the hard-point mounts for the cabane struts built into the center section. 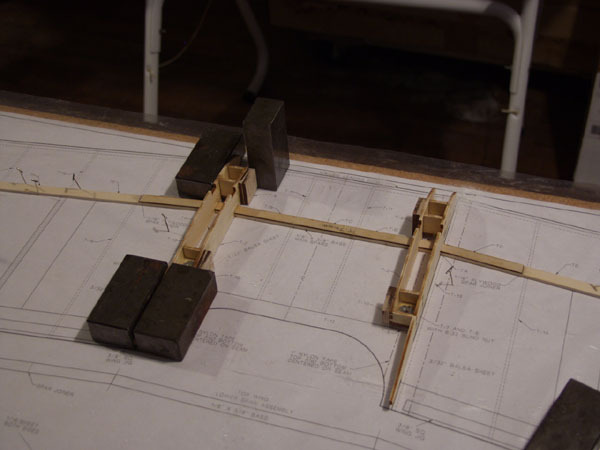 There’s a few subassemblies that need to be built first, so that’s where I started. The cabane supports are built from several parts. Make sure to make a left and a right assembly. 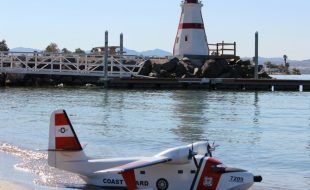 you need to make sure the supports are 90 degrees to the rib. Alignment is the key here as you’ll see in the next picture. 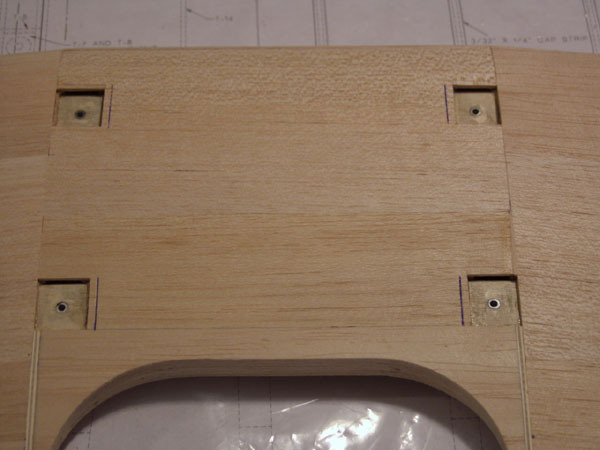 On the bottom of the assembly, 2 pockets are formed for the blind nut mounts. The accuracy of the laser-cut parts is just amazing, everything fit perfectly! 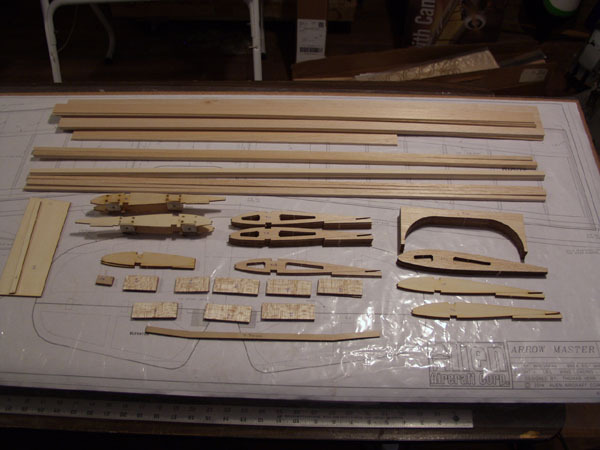 Here’s the parts neede to build the top wing. Note the completed subassemblies. 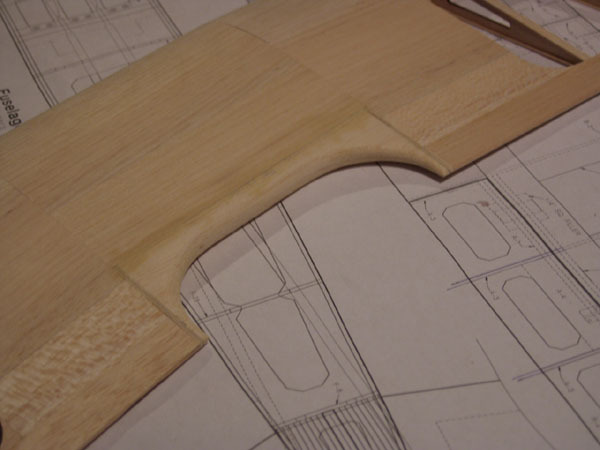 Because of the sweep in the top wing, the main spars and sheeting need to be cut at an angle to match the sweep. 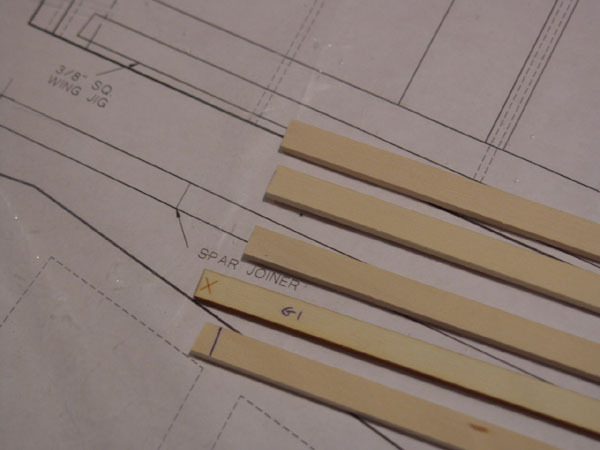 There are guides included in the kit for each, part G1 is for the spars and G2 (not shown) is for the sheeting. A very thoughtful idea. 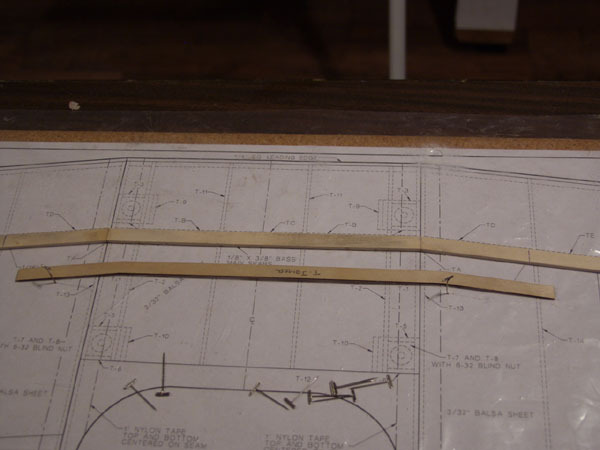 The bottom main spars are glued together on the plan. 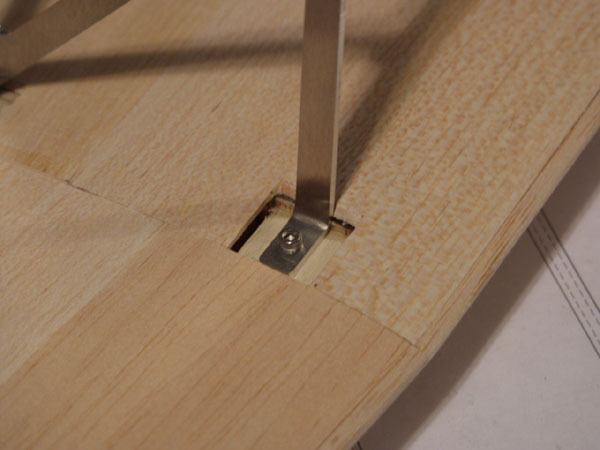 A plywood joiner is then glued on top of the spar. Here the joiner has been epoxied into place. 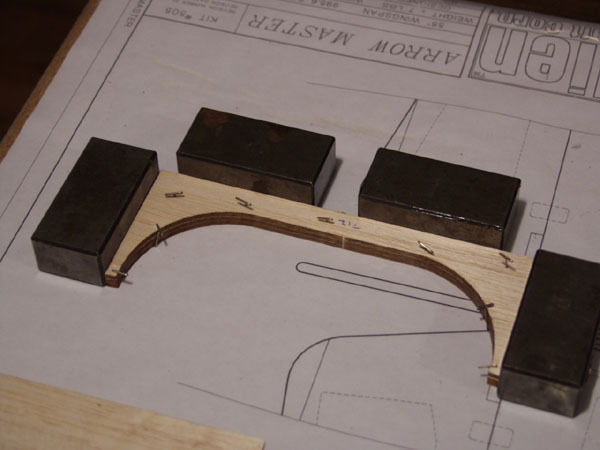 The cabane support assemblies are glued into place. 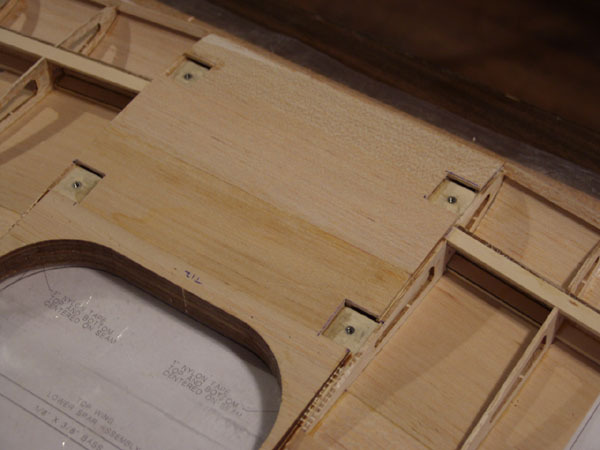 The center ribs are now added along with the 1/4″ square L/E and the plywood joiner for the top main spar. The laminated T/E assembly and the top main spar now gluded into place. 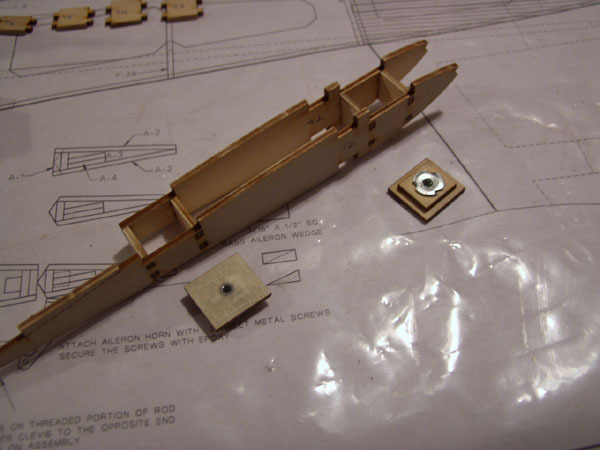 Use epoxy on the spar assembly. The shear webs are also glued into place. The center section sheeting is now glued into place after a light sanding to remove any humps and bumps. 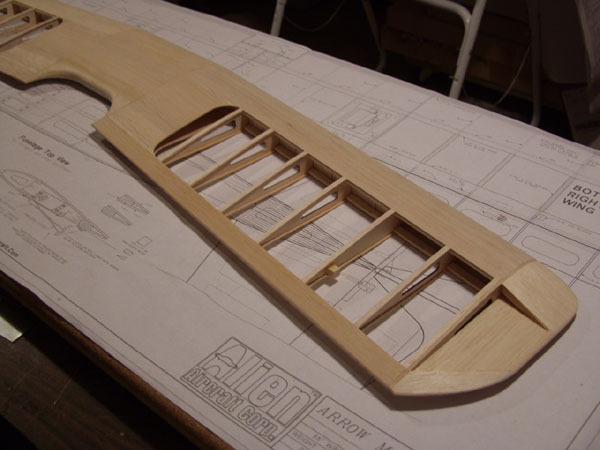 The ribs, top spar, shear webbing, L/E and T/E are all glued into place. 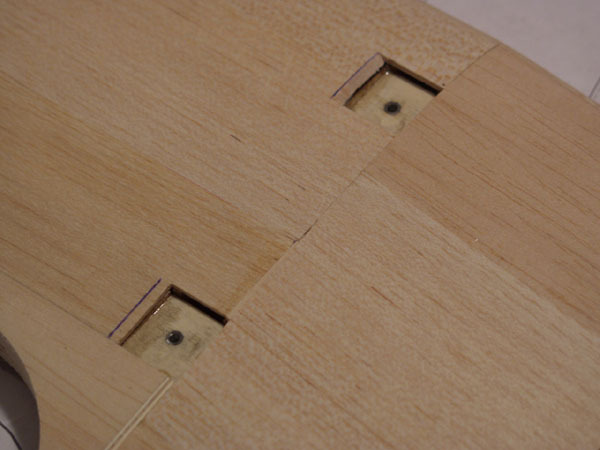 The top spar is glued to the previously installed plywood joiner. 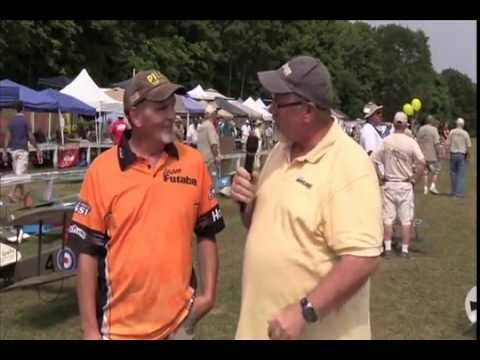 Be sure to use exopy and clamps for this. Spring clamps work great for this task. 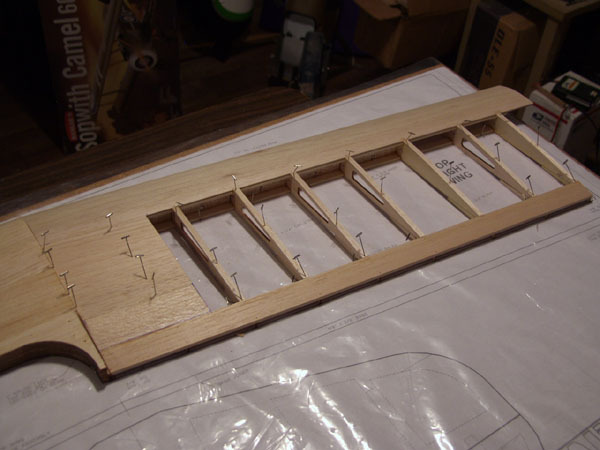 I also built the left wing panel at the same time. 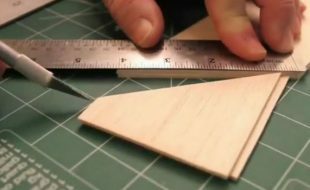 this wraps up the basic construction of the top wing. 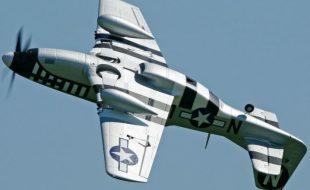 The rest is the details and such–adding the ribs, spars, LE, shear webs and TE etc., is the same as before. 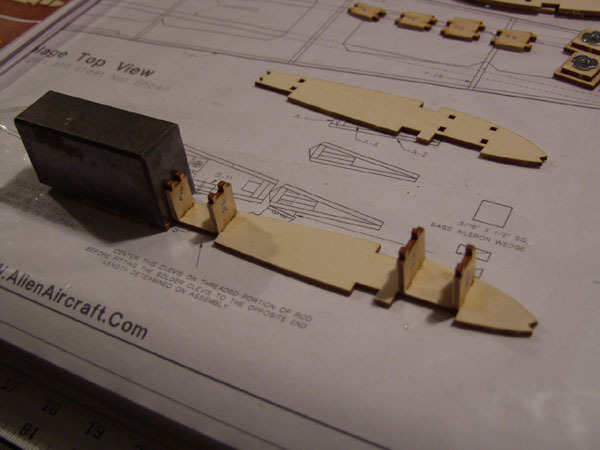 The spar from the center section was also securely epoxied to the wing panels main spar. 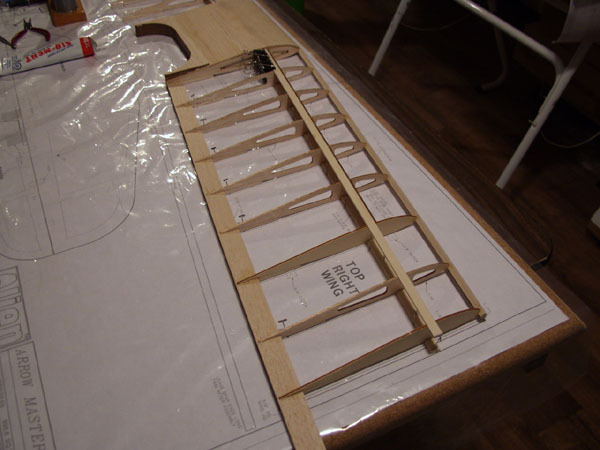 Sheeting the top wing goes pretty quickly, and is accomplished like the bottom wing. Here, the L/E and capstrips have been added, I also did the left side at the time. After the glue has dried, the wing is unpinned from the building surface and pinned back down upside down. 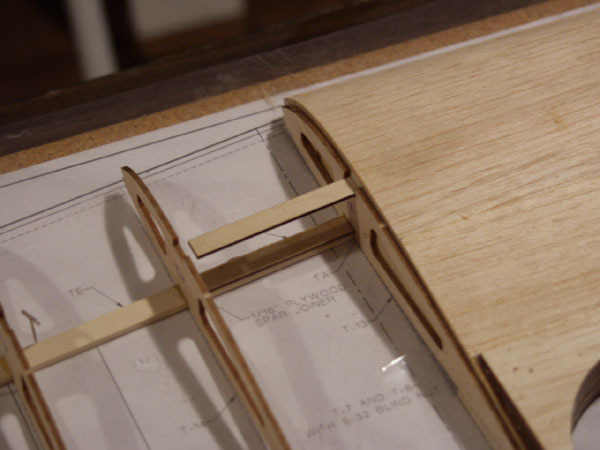 A 3/8″ square balsa stick placed under the T/E to keep the wing straight. Make sure the wing secure on the building board. The center section is sheeted first. 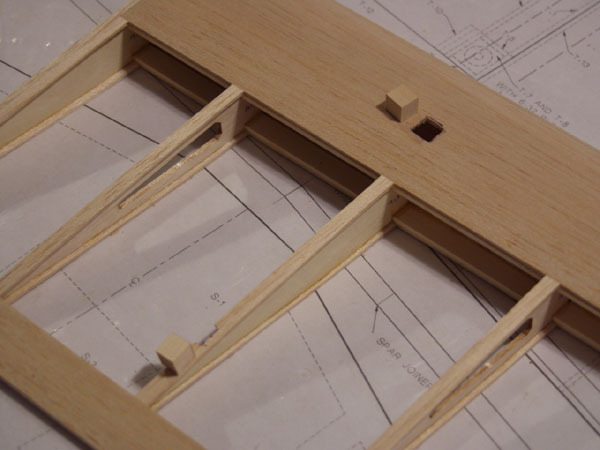 The openings for the cabane mounts need to be exposed, I plotted their position before gluing the sheets in place. 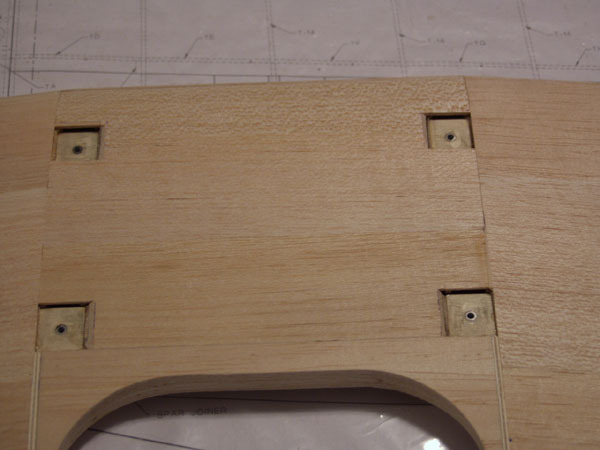 Here the L/E sheet and the rib capstrips have been added. 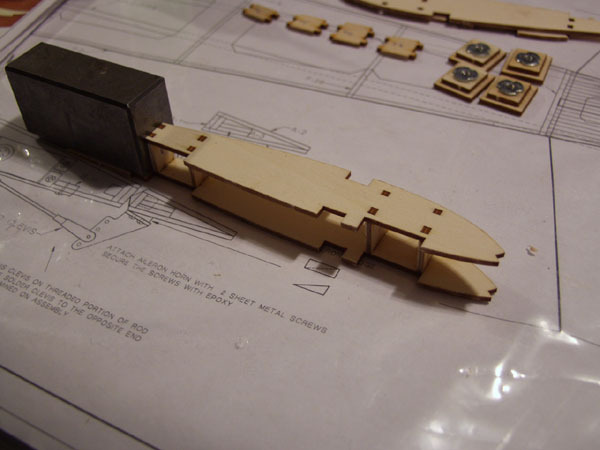 I sprayed the outside of the L/E with Windex to allow the balsa to bend easier over the curve of the ribs. 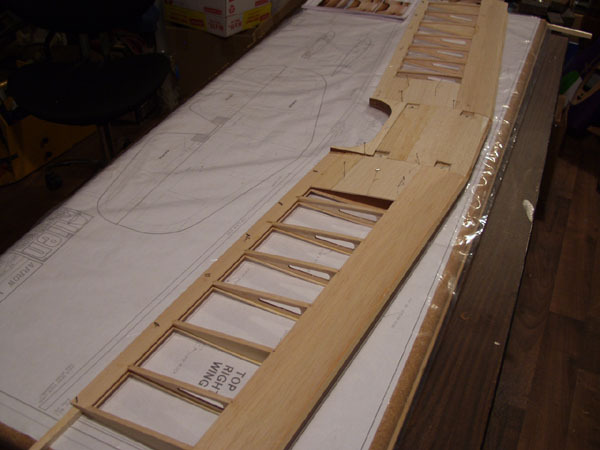 The bottom of the wing has been sheeted and waiting for the glue to dry before removing it from the building board. 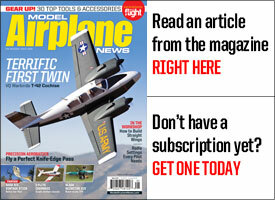 Next installment we’ll add the wing tips, the “N” strut mounts and final sanding. Next the top wing is flipped over so the bottom can be sheeted. 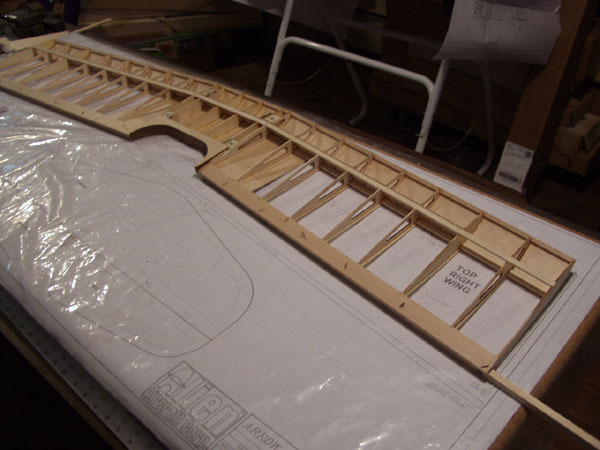 After that the glue has dried, the wing is removed from the building board so the final details can be added and the wing is complete after a final sanding. The sheeting on the inside edges of the cabane mounts needs to be beveled so the struts fit without rubbing the sheeting. Marks 1/4 inch are made for the cuts. Here the top opening has been shaped, compare it to the bottom opening. All of the cabane openings have been shaped as required. I’m fitting the cabane strut to make sure there’s no interference with the sheeting. 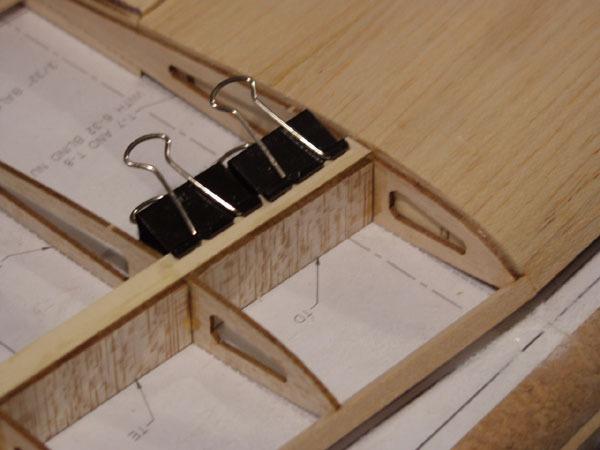 In the instructions, there isn’t any mention to install the “N” strut supports in the top wing. 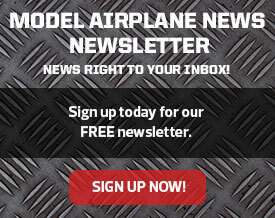 So make sure that they’re installed in the BOTTOM of the top wing. 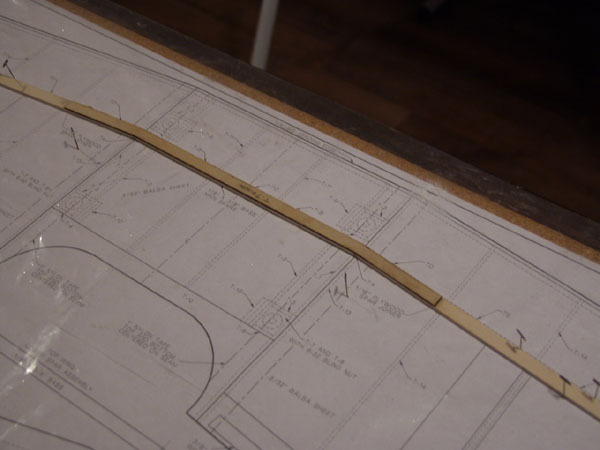 The plan shows their location and they’re installed the same way as the bottom wing. 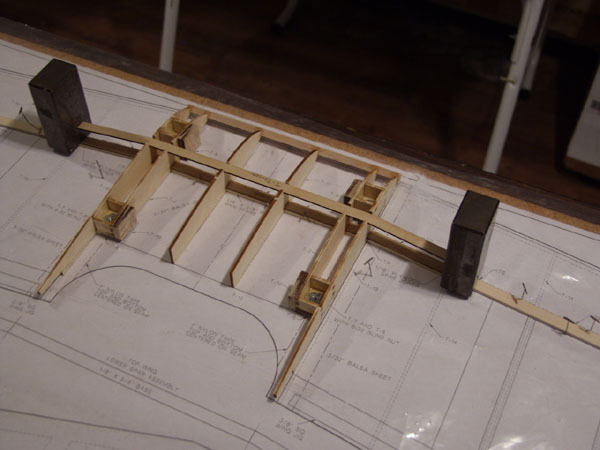 The “N” struts mounts have been installed and sanded flush with the bottom surface of the wing. I then sanded the center section TE to shape. Like the bottom wing, I added wing tips to extend the overall span of the wing. 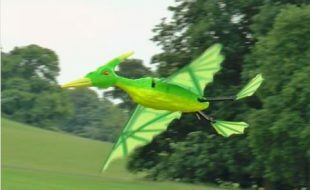 They’re built just like the tips on the bottom wing and add some flair to the overall shape of the wing. 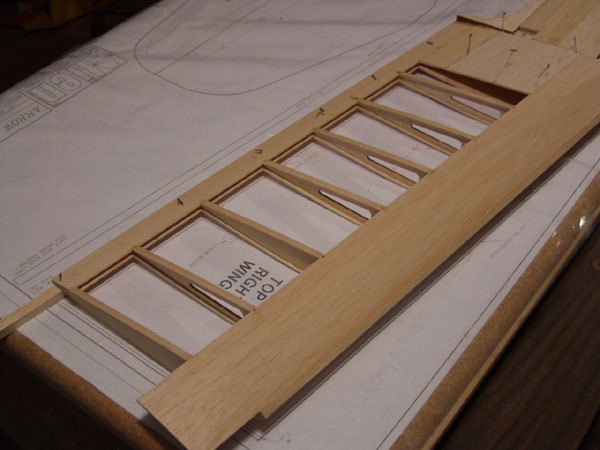 Here’s the right wing panel completed, the left wing panel is a mirror of the right panel and both are ready to be covered. I’ll be using UltraCote to cover the model. 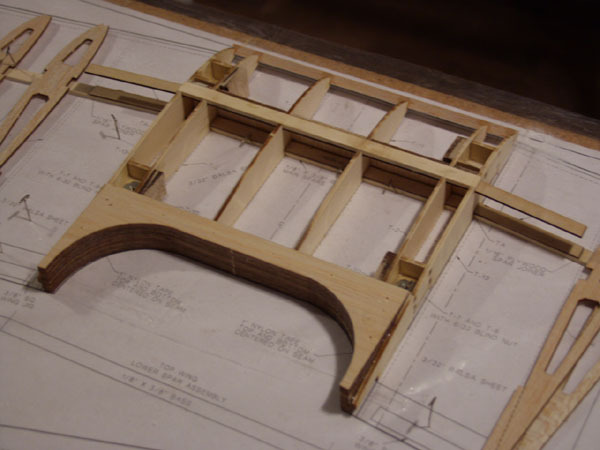 This completes the construction of the wings for the ArrowMaster. 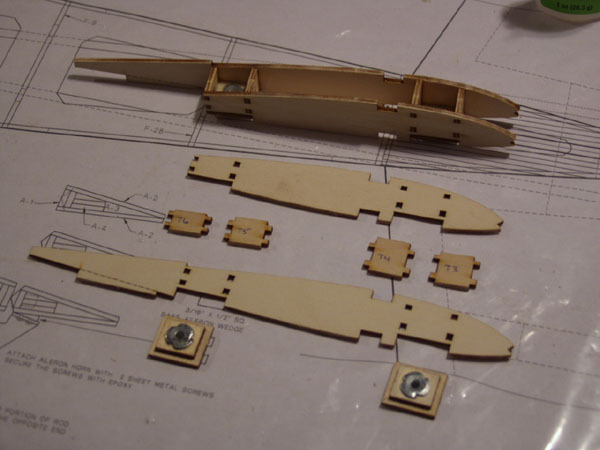 The next installment will focus on building the fuselage. 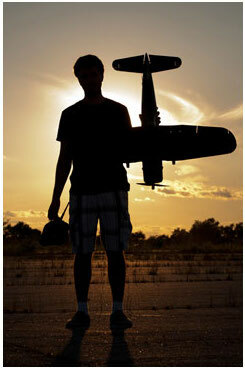 I am with aeromodels since the age of 12. 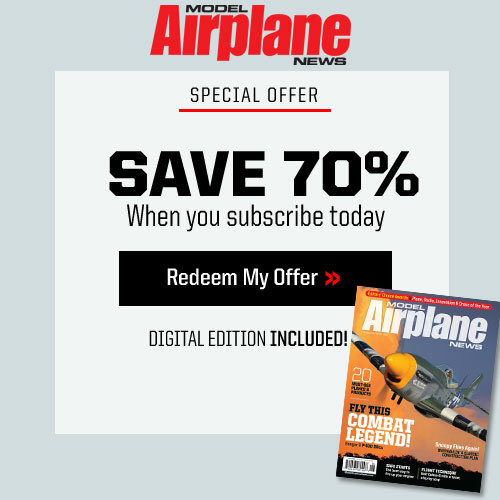 I used to build my own models either from RCM or the plans came with kits. 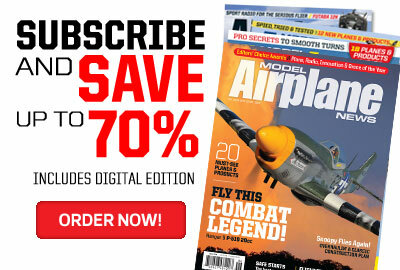 Can I get the plan of AeroMaster-4 biplane. If so please froward me the procedure / mode of payment and the cost by post to Lahore – Pakistan. Buen día, soy de México y quiero felicitarlos por lo que hacen y realizan, de igual manera me gustaría saber como puedo conseguir algunos planos de aviones para armarlos, me gustaría que ustedes me ayudaran, les mando un fuerte abrazo y gracias por su tiempo.